The latest custom designed sword cane from Gil Hibben. 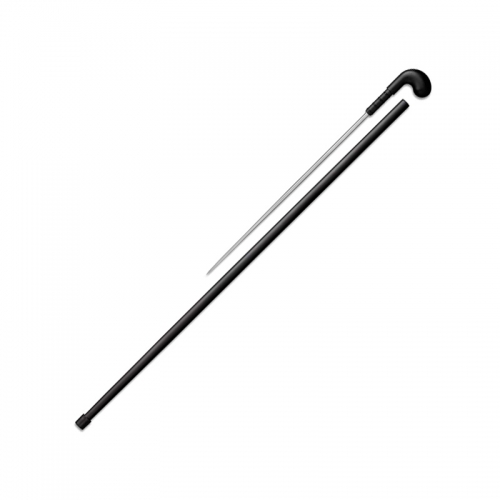 Features a sturdy wood cane shaft and sword grip constructed of linen Micarta, with stainless steel fittings. 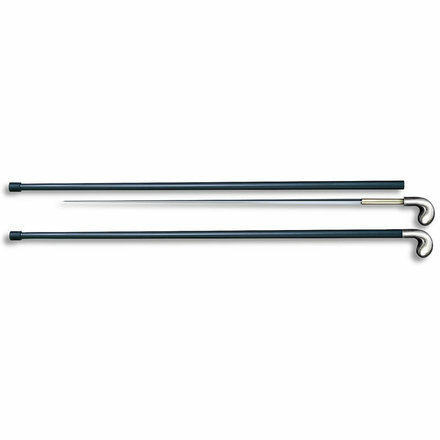 A 14 3/4″ long 3Cr13 stainless steel blade with custom file work securely locks to the cane shaft. The built-in locking mechanism releases with a push of a button. 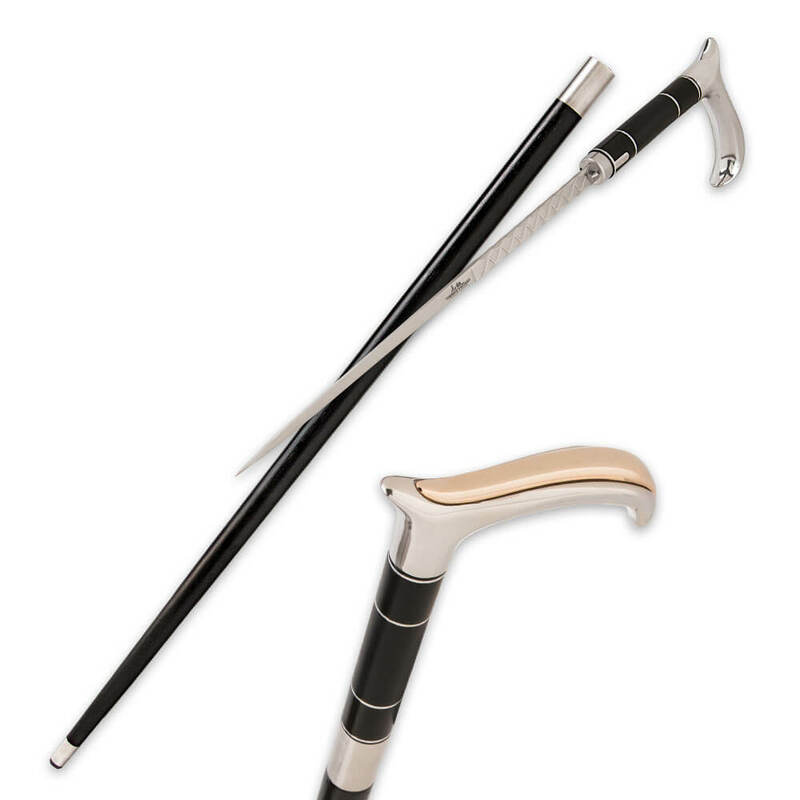 The chromed cast metal walking cane grip features a gold plated inlay and also doubles as a club for self defense.